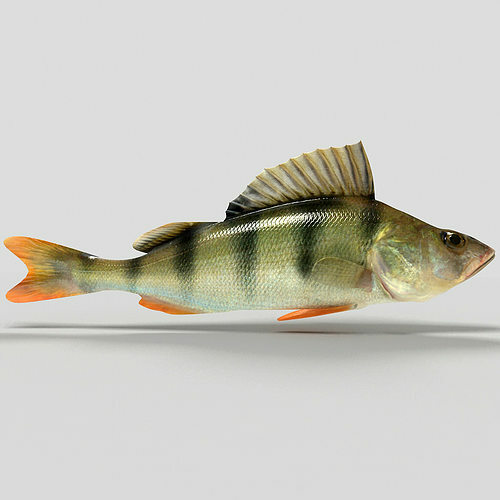 Highly Detailed model perch fish. -The main format is 3ds max 8.max, also available in many formats. -Model built to real-world scale. -Model is placed to 0,0,0 scene coordinates. -Every parts of the model named properly. -Texture and material names correspond to model name. -UV and Unwrap UV map modifier applied. In max versions Mesh Smooth modifier applied and not collapsed. -Final images rendered with V-ray. Hi-Res textures ready for close up renders. -All textures and Materials are included. Both 3ds max V-Ray and Standard material scene are included. -The model is fully ready for import into any project and ready to render as seen in previews. -Other formats available in .3ds, .obj, .c4d . -Maps included separately for all formats into each zipped folder. -Other formats may vary slightly depending on your software. -All other formats were exported, tested and setup in respective software.